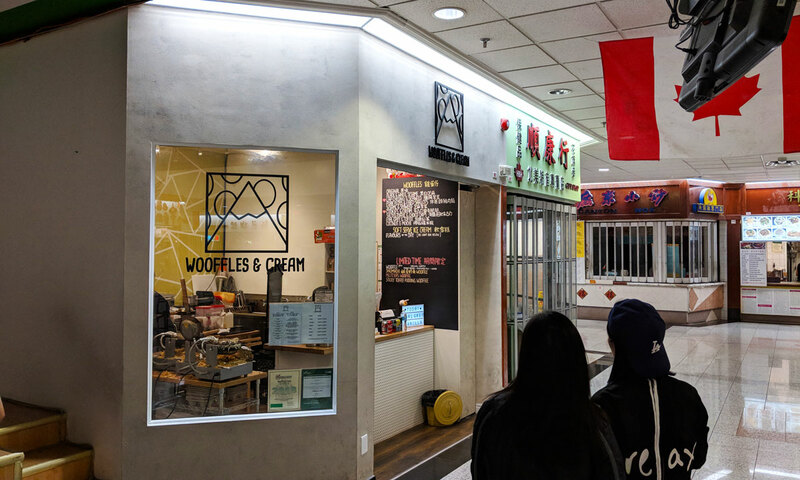 Every other ice cream joint in the city now serves Hong Kong-style waffles. It’s a combo that came out of nowhere and absolutely exploded. And while I don’t think that Wooffles & Cream were the first to do it in the GTA (pretty sure Bang Bang got there first), they certainly helped popularize it. It’s still great. 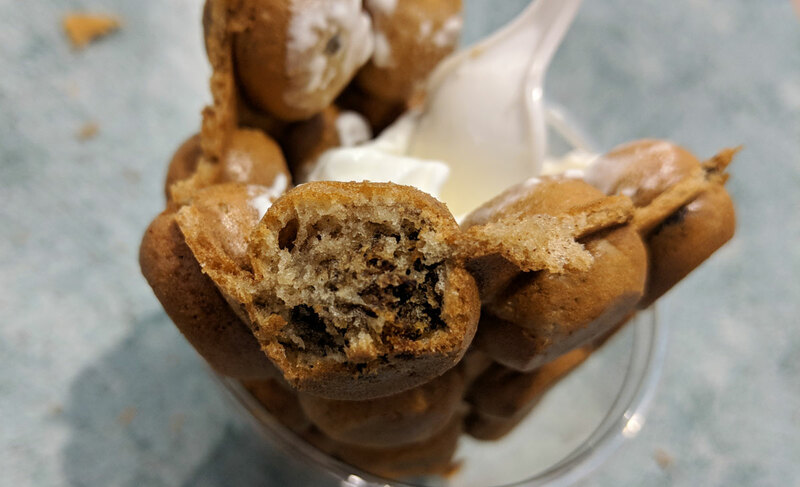 They have a few different flavours of waffle that you can try; I went with the sticky toffee pudding, which is a standard waffle filled with sweet cakey chunks of the aforementioned dessert. The waffle itself was as delicious as ever, with a nice crispy exterior and a creamy interior. The bits of sticky toffee pudding were quite tasty, though they were dryer than you’d like, and not quite as sticky and sweet as you might hope from that particular dessert. There were also a few chewy mochi bits interspersed throughout, which were an interesting addition. 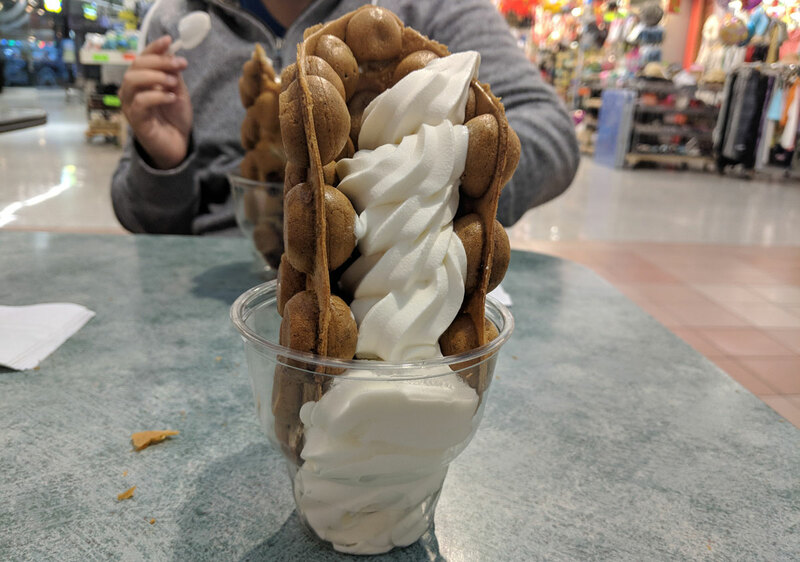 The ice cream itself (I got vanilla — earl gray was also an option) was nothing special, but the quality is decent and it’s certainly an addictive combo with the waffle.